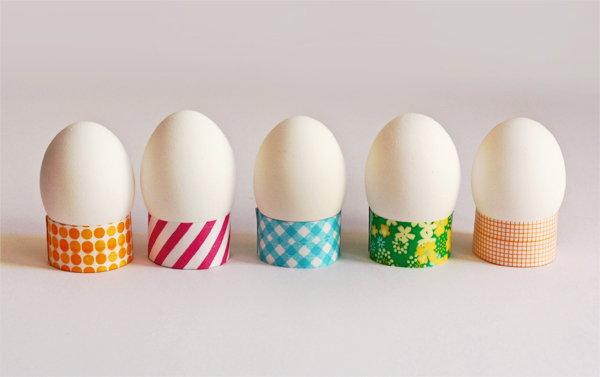 If you need something to keep your boiled eggs from rolling all over the table, try making paper holders decorated with washi tape. Download and print the egg holder template at 100%. 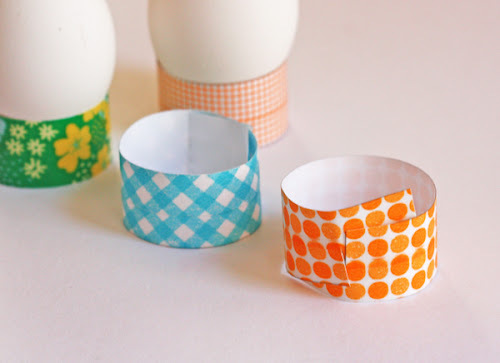 Apply decorative tape over the surface of each band. I used washi tape and patterned duct tape. Cut out the bands and the slots. 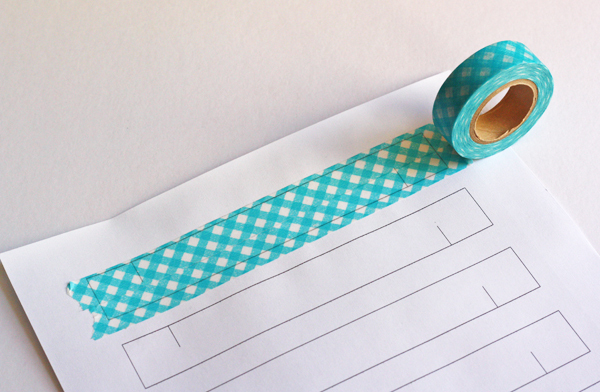 Since washi tape is slightly translucent, it's easy to see the trim lines through the tape. Form each band into a circle and hook the slots together. Have a beautiful Easter weekend, everyone! Yeah, I might get around to that. Or not. I've already got the flowery ones. I always fold my egg holders with the tabs outside of the slits on the inside of the ring- no need for tape! Sarah, that seems so obvious now that you say it! I'm going to change the post a bit! I'm really late to the washi tape game here... but just where can you find them? I keep finding duct tape instead! Or search for "washi tape" on Etsy.com. Fun and simple. Got a get some tape! Great idea! And sooo simple!! Love it!